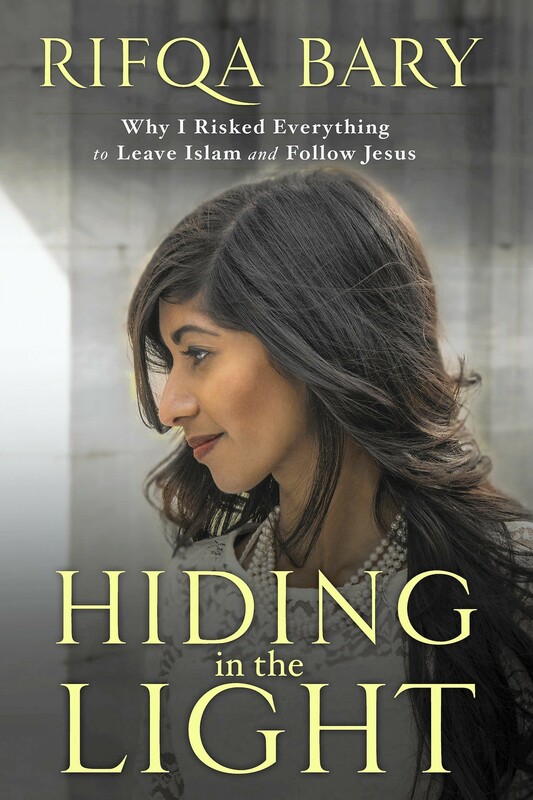 On May 19, 2015, Fox & Friends interviewed Rifqa Bary about her new book – Hiding in the Light: Why I risked everything to leave Islam and follow Jesus. The book tells the story of her conversion from Islam to Christianity. Overall, I was amazed by Rifqa’s new book. Her testimony proves that God is alive, and willing to reveal Himself at the slightest display of faith. It also demonstrates that other religions and their customs (meaningless prayers and empty rituals) never satisfy. Only Jesus Christ brings peace. Only through Christianity can we exchange weakness for God’s strength. Only through a personal relationship with the Lord can we endure the unimaginable, love the unlovable, and forgive the unforgiveable. Rifqa’s testimony inspired me to never be half-hearted in my faith, and to remain prayerful for persecuted Christians. When I read how she memorized God’s Word, and longed to go to church, I cried tears of guilt. I realized how much I take my religious freedom for granted. I also admired the brave friends that God placed along Rifqa’s path (the ones who helped her escape) … especially the first young lady mentioned. To be honest, I’m afraid to ask myself if I would be as obedient to God (and as fearless) in the face of danger and religious persecution. Honestly, I don’t know if I could look beyond myself, and be used by God in such a mighty way. But, Hiding in the Light has given me a new determination to walk by faith, not by fear or sight. This book is a must-read for anyone … but especially for those seeking God … especially for those who don’t believe in the One and Only Living God … and especially for the lukewarm Christian church.